Lawyers acting for the families of the Hillsborough disaster victims are to press ahead with legal action against South Yorkshire Police and West Midlands Police over the “widespread police cover-up” which had attempted to blame fans. 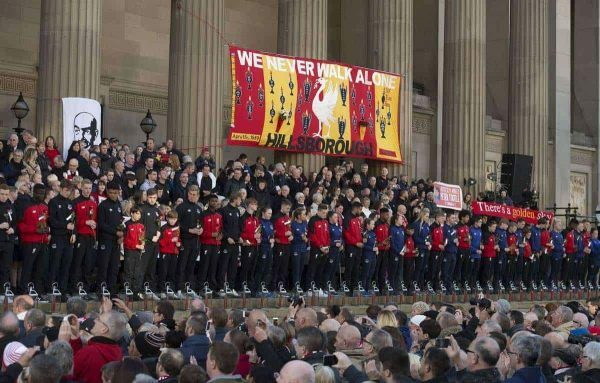 Saunders Law, a London-based legal firm, confirmed that hundreds from the Hillsborough Families Support Group are to pursue legal action for damages against the two forces after blame tried to be shifted on to the Liverpool fans. In a statement the law firm, which is co-ordinating the action, said that families believed “justice will only be established through accountability”. The lawyers were first instructed following the publication of the Hillsborough Independent Panel (HIP) report in September 2012 which revealed at least 116 witness statements had been doctored to cast police in a favourable light against those who died. The claims were issued last year but were forbidden from being published until the inquest had ended, following an order from a High Court Judge. 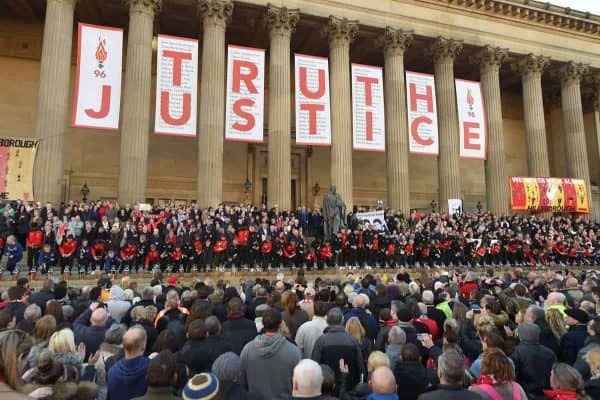 The statement read: “The claims concern the cover-up and actions intended to wrongly blame the deceased and Liverpool Football Club supporters for the tragedy, for which there has still been no proper admission or apology. The statement added that abuse by the two forces was on an “industrial scale”. “In addition to the police wrongdoing that caused the deaths, there is evidence of the systematic cover-up intended to transfer the blame for what happened from South Yorkshire Police to the innocent, by spreading lies, doctoring evidence, pressurising witnesses and suppressing the truth. They added that they hoped to work with the Independent Police Complaints Commission (IPCC) and Operation Resolve, who are conducting a criminal investigation, in deciding whether any individual or organisation should face prosecution. NOTE: Reports claiming the families are seeking the sum of £20 million are wholly wrong.